With a number of years’ experience in the property investment field, both as an owner of investment properties and as an experienced property manager Jonathan knows what is involved in getting the maximum return on your investment. Owner of one of the top 10 property management companies for Harcourts in NZ, Jonathan and his team consistently win business excellence awards for the Wellington region. 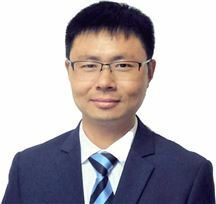 He and his team of property managers regularly rank in the top 3 of the region at the quarterly and annual awards. Let Jonathan’s experience and dedication to the industry work in your favour and contact him or the team today to get the most from your investments. For the past 25 out of 27 years Dot has worked in Property. Her vast experience covers both property sales and property management the majority of which was in NZ in the Lower Hutt and Wellington areas and for 5yrs in the UK. Dot has gained her accreditation up to Branch Manager Status with REINZ and has sat and passed the ARLA exams for property management in London. Dot also contracted to the Wellington Property Investors Assn and has a good knowledge and empathy of investor thinking. Dot owns and maintains her own home, has been a tenant herself, and has the life experience and know how to manage your property expertly and to care for the tenants. 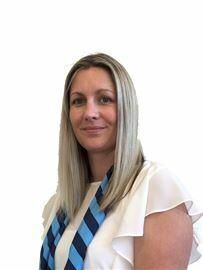 Kate Shiels-Reddin arrived in New Zealand from the UK at the end of 2009 and has a vast amount of experience in the property market after managing residential property magazines in London for 8 years. Joining the property management team early in 2010, Kate's role as Business Development Manager at Harcourts is to ensure that landlords are getting the best return on investment on their properties and are kept up to date and informed on the professional management services we offer. 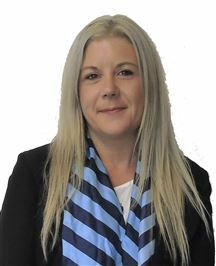 Since joining, Kate has grown the business substantially and as a result it has been awarded the top Property Management Office for Business Development both regionally & nationally and Kate has been awarded Property Management Top Business Development Manager - 1st place regionally and 2nd place nationally. Kerryn joined Harcourts Team Rentals in August 2014. With several years in sales and customer service, she joins the property management team. Kerryn’s role as Business Development Manager at Harcourts is to ensure landlords are getting the best return on their property investments and are kept up to date with the professional management services we offer. If you own a rental property within the Wellington region and wish for property management advice then Kerryn would love to hear from you to discuss your property management needs. Shahney has been a member of Harcourts Team Group Rentals since June 15, Shahney started as an assistant property manager and quickly moved into the Property Manager position. Shahney has recently moved into the Business Development role. Shahney is not new to Property Management and has numerous years of experience on the Kapiti Coast, she is passionate about helping people find the perfect home to suite their lifestyle. Shahney has extensive experience in the mortgage industry and hospitality industry which has given her the opportunity to deal with a wide range of people & personalities. Brianna joined Harcourts Team rentals in September 2017. A business owner with more than 10 years experience in administration, sales and customer service, she understands the importance of looking after your investment. Brianna is passionate about the real estate industry and prides herself in having open communication to develop a good working relationship with owners and tenants. Save your time and energy to do the things you enjoy, and let us manage your investment today. Felicity has been a valued member of the Harcourts Team Group Rentals Ltd property management division since 2007, she has a wealth of knowledge to share with you. Beginning in an assistant role to Jonathan Selig then promoted to Property Manager in 2010, she has been a pivotal team member in seeing this business expand over the years. Felicity still is very much hands-on in her PM role, but also covers her hometown as BDM and her senior position as Second in Charge. Competent in all aspects of residential property no matter how big or small, she is fully conversant with mediation and tribunal procedures. Felicity has accomplished many awards over the years and wishes to continue with this, she feels strongly that being genuine is a major factor in her achievements and longevity as property manager. Along with her industry experience, Felicity holds herself to high standards, and is enthusiastic about property management. Over the past 23 years Kristen has worked in various customer service/sales roles. 16 of these years was spent in hospitality running her own café and 7 in the Insurance industry. Kristen takes pride in all her work, is hard working and you will find her friendly and easy going. Like most things in business, it comes down to trust. People want to do business with someone they can rely on – Property Management is a very big deal for most people so they need to be confident you’ll deliver when you say you will.” When Kristen works with her clients, four key factors contribute to her success the strength of the Harcourts brand, superior technology, proven marketing tools and strategies, and her skills and commitment all of which help her achieve remarkable results for her clients. Kristen prides herself on being approachable and is always there when and where you need, She’s honest and trustworthy, You know once you meet Kristen that no task is too big! Lynette has been a valued member of Harcourts since 2008 predominantly in the Property Management and Administration areas. 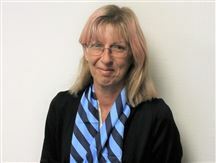 Lynette has lived in the Wellington area all of her life and is actively involved in various sporting clubs, schools and local community groups. Lynette is committed to providing the best possible advice and service to property owners, enabling them to maximise the returns on their investment property. Great location, 2 bedroom ! 1 Bedroom unit with views.